It’s been a while since we made a Weekend Gig Picks post, but with as many great gigs as Brighton has this weekend, we couldn’t resist. Tomorrow night we’ll be down at The Haunt where Moulettes play a hometown gig in advance of their upcoming album Constellations. Also on thursday, at Bermuda Triangle, Tigercub are launching their new single Blue Blood (which comes out on limited translucent blue 7″ on 5th May). And as if that wasn’t enough choice, Brighton Music Blog favourite Crayola Lectern is playing at the Verdict, on the bill with Cardiacs’ William D Drake. On Friday night we’re off to the Concorde 2 for Blood Red Shoes, currently on tour around the UK (where Wytches joined them on a few dates, but unfortunately won’t be at the Brighton gig). 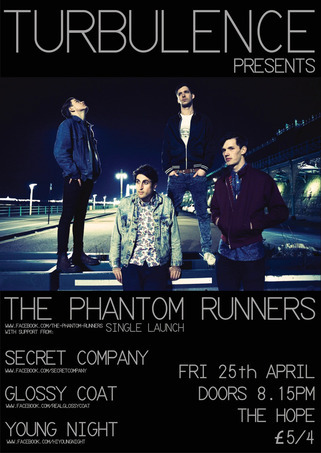 Up at The Hope, Phantom Runners are holding their album launch, supported by Glossy Coat and Young Night. It’s also this month’s Les Enfants Terribles at the Blind Tiger headlined by Spit Shake Sisters. And then over at the Red Roaster café Hidden Trail Records are hosting a night showcasing their first proper signing Ellie Ford. We’re also out on Sunday night too, for Milk and Biscuits‘ gig at the Blind Tiger where Prince Vaseline and Cuddly Shark support. As Christmas approaches, we haven’t got quite so many acts in our weekly roundup of the local gigs we’ve picked out, but it’s all about quality rather than quantity. Before I mention any other gigs this weekend, I want to give a special mention to a charity gig that’s taking place on Sunday afternoon / evening at the Above Audio, put on by Les Enfants Terribles in aid of the Typhoon Haiyan Relief Project, supporting those affected by the recent catastrophic weather in the Philippines. 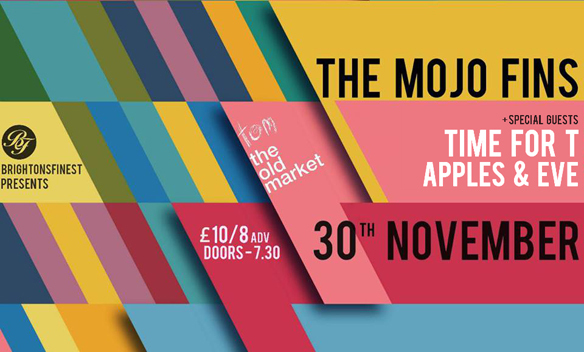 They’ve got a great line up, including The Miserable Rich (who are re-forming as a one off for this gig), The Phantom Runners, Spit Shake Sisters, Common Tongues, Lost Dog and Will Musset. There’ll also be a raffle and mince pie sale to raise more money for a deserving cause. 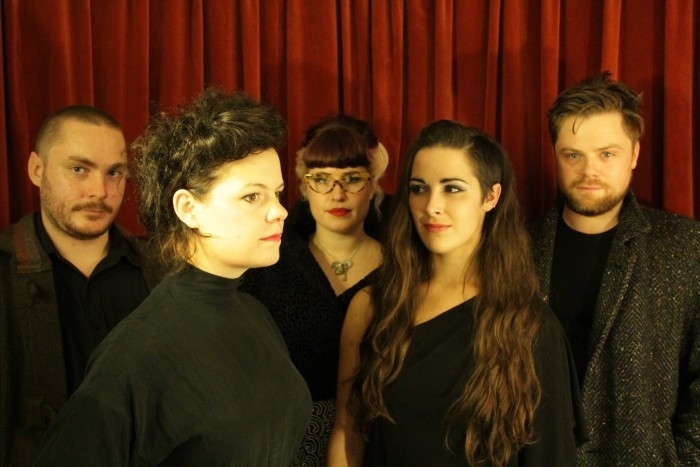 Anyway, back to tonight’s gig recommendation – A Lily (who appeared in our Advent Calendar last week) are supporting Farao and Asgeir at the Green Door Store. 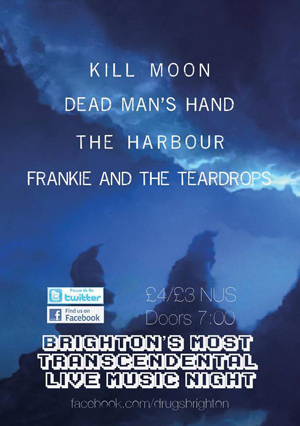 Friday Night sees one of Brighton’s hottest tipped bands play at Bermuda Triangle. Royal Blood have been tipped as one of the BBC’s sound of 2014 bands, and are playing what’s bound to be a sold out gig supported by Tigercub. Ez Stone launches his Moroccan Whiskey EP at the Red Roaster coffee shop on Saturday night, and is joined by Your Correspondent, Bella Spinks and Sam Jordan. Elsewhere, Kill Moon are headlining this month’s Drugs at the Green Door Store, alongside Dead Man’s Hand, The Harbour and Frankie & The Teardrops. The big gig of the weekend however is Fatboy Slim, who’ll be playing to a packed room at Digital. It’s rare to see Norman Cook play a venue this small these days, and I’m a bit jealous of anyone who’s got a ticket!